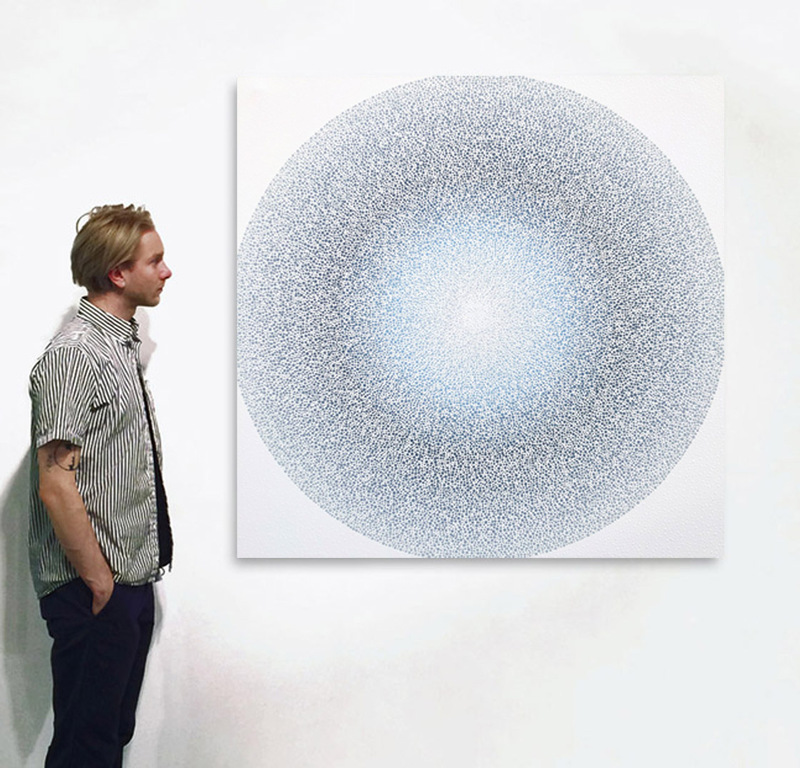 A.J.Oishi is an emerging self-taught artist originally from Seattle, WA. She graduated with a BA in Economics and Sociology, and spent her professional career working in roles that required organization and detailed analysis. 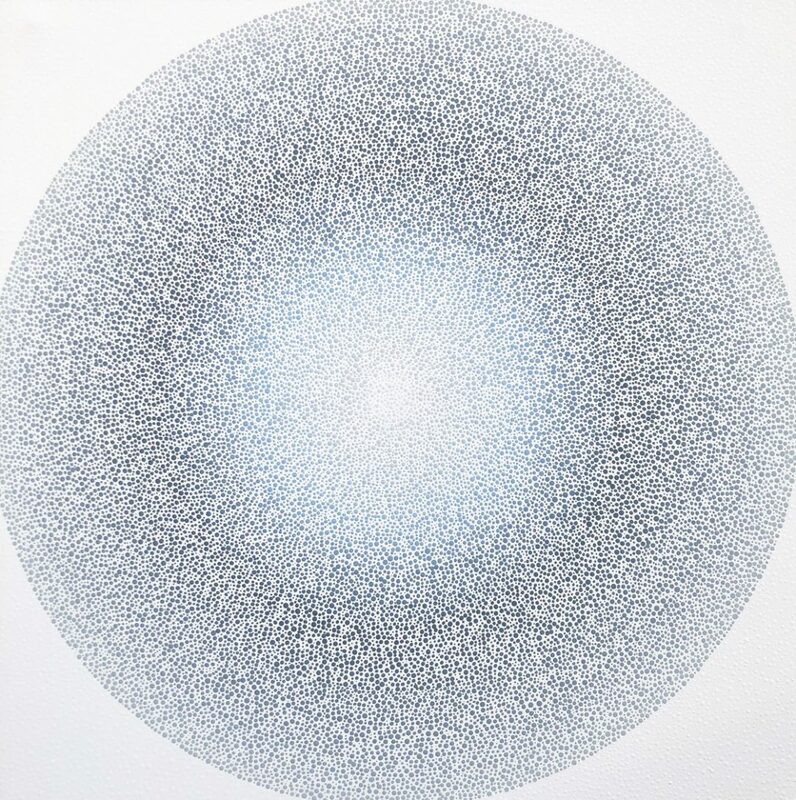 In her art career, Oishi has applied her science background into her art making by taking measured and controlled techniques to create balanced and detail-oriented paintings. Oishi’s art is essentially created using the eraser side of a #2 pencil. 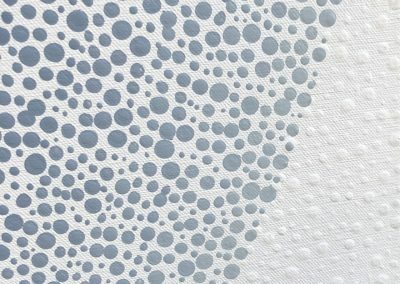 Paint consistency, pressure on the board or canvas, and a steady hand result in her "dot". 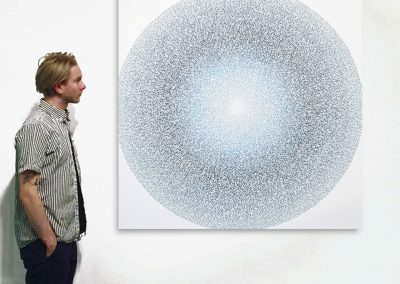 Adding thousands of equally measured circles together in a repetitive pattern and employing proper color combinations results in an expansive abstract composition of color, form and light. Oishi has consistently sought out knowledge, education, and points of view that would better her own self-growth. Oishi explains that her methodology is symbolic of the individual and one’s journey towards a more holistic, conscious life. That being said, the choice of using a bull’s-eye represents the completeness within an individual. Oishi’s art is driven largely by color, inspired by all that surrounds her. Each color choice and combination she makes is an attempt to exude a certain emotion of her inner response to her outside experiences. As the piece progresses, A.J. 's challenge is to maintain that emotional "vision" and ultimately translate that emotion to the viewer. 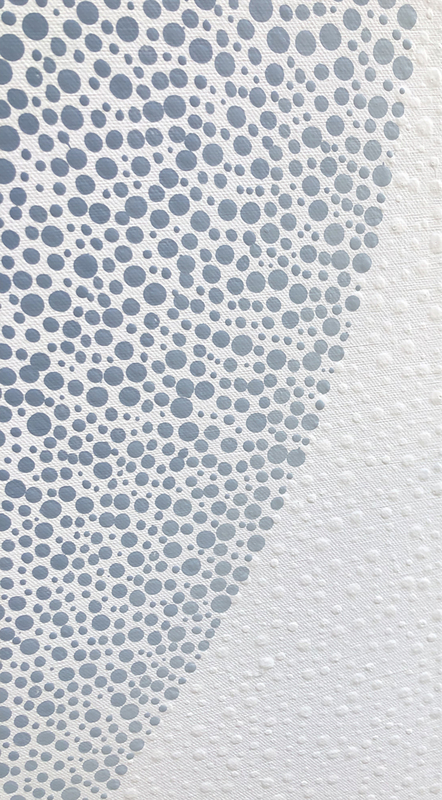 Oishi has exhibited in solo and group shows through out the USA, in San Francisco, New York, Miami, Boston and Columbus, and is represented by galleries in San Francisco, Boston, Park City, Palo Alto, and Columbus. She joined the Kostuik Gallery, Vancouver Canada in January 2019.